Bernd Leukert, Executive Board Member of SAP SE, kicked off the conference in Las Vegas. 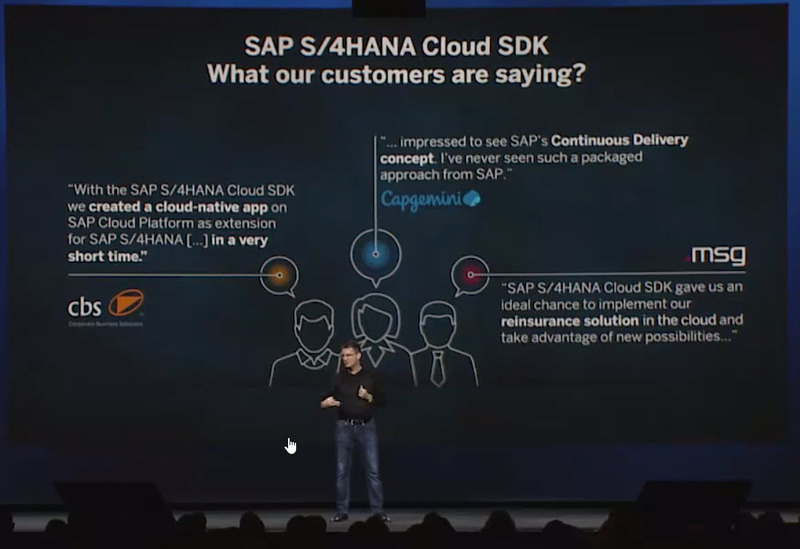 Only a few minutes into the keynote, he made clear that the SAP S/4HANA Cloud SDK plays a vital role in the intelligent enterprise framework of SAP. He gladly shared quotes by partners using the SDK. cbs, Capgemini, and MSG expressed their positive experience with the SDK and how it helped them develop Cloud-native extensions to SAP S/4HANA Cloud. In a Live Studio interview, Wieland Schreiner, Executive Vice President SAP S/4HANA, and Benjamin Heilbrunn from our SDK team gave an overview of the SAP S/4HANA Cloud SDK and what happened in the first year since the release of the SDK at last year’s TechEd. We delivered more than fiveteen sessions (plus repeats) about the SDK, ranging from lectures to CodeJam and hands-on workshops. If you have missed the session on how to handle your unique business requirements, you can watch the recording. It covers the options for moving custom modifications of the past to Cloud-native extensions on SAP Cloud Platform. If you are interested to make your extensions intelligent by integrating machine learning or blockchain services (who isn’t? ), check out the recording of our session on intelligent extensions. 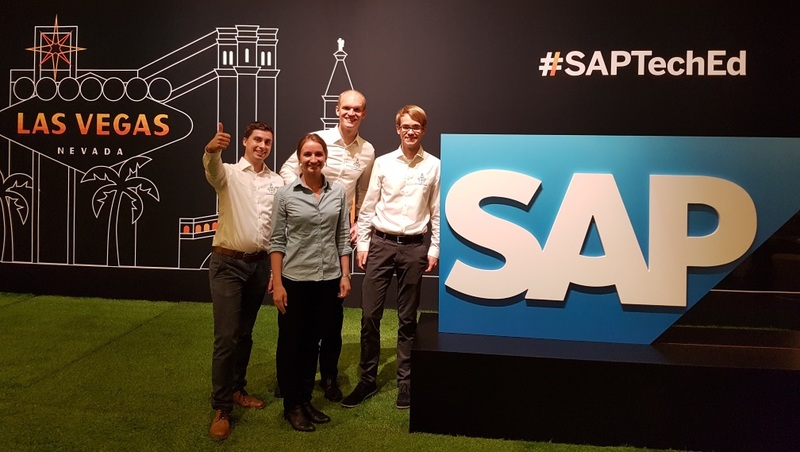 Further highlights included the overview lecture Develop and Continuously Deliver Side-by-Side Extensions of SAP S/4HANA and two CodeJam sessions on integrating machine learning and blockchain services into extensions of SAP S/4HANA. That’s it for Las Vegas, see you in Barcelona (or Bangalore)!